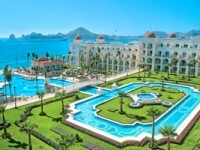 In this week’s first travel deal collection we bring you the best Mexico offers we could find, one of them being Hotel Riu Palace in Cabo San Lucas from $120 per night, plus taxes and fees. 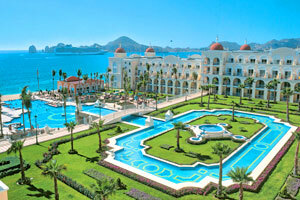 The 4 star Hotel Riu Palace offers all inclusive services, it s only 5 minutes away from downtown Cabo San Lucas and is located right on El Medano Beach. You can book whole vacation packages as well, to Puerto Vallarta for instance from $689 per person or to Riviera Maya from $599 pp as well as Cancun hotel rooms from $6 per night and much more. Book before the best deals sell out! This entry was posted on Wednesday, July 31st, 2013 at 6:23 am and is filed under Hotel Deals. You can follow any responses to this entry through the RSS 2.0 feed. You can leave a response, or trackback from your own site.